Our custom-designed candy buffet tables are entertaining and edible work of art and can accommodate any theme, color, and style of your wedding or event. No matter what kind of party or event you're having, candy buffets are all the rage! A candy buffet is a beautiful display of delicious candies served buffet-style. It's perfect not only as a unique alternative to traditional party desserts, but also as a fun and creative favor for guests. They can choose the candies they like and eat them at the reception, bring them home for a sweet treat later, or both! Our custom-designed candy buffets stand out as an entertaining and edible work of art! 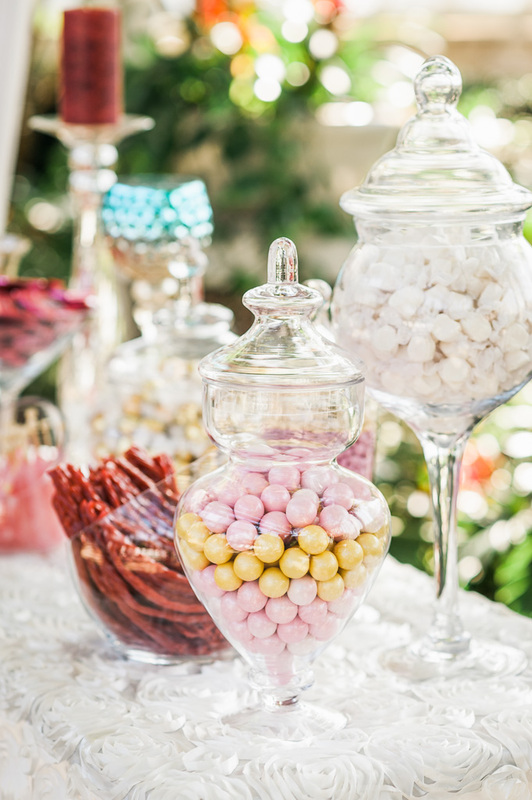 Each of our candy buffet tables is set up with quality jars that vary in size and shape. With a great variety of tasty candies and chocolates to choose from, we can easily accommodate different occasions, themes and dietary needs. 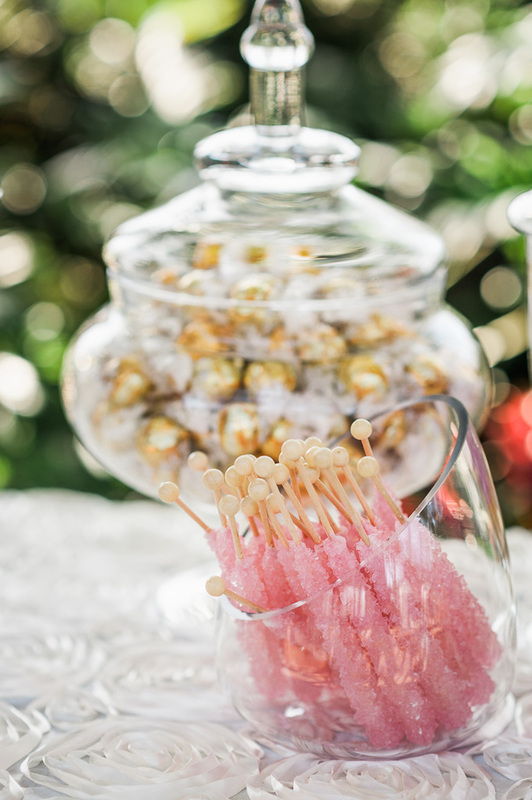 Wow your guests with our fun and stylish candy buffets! Since our candy apothecary jars, scoops, tongs, linen, and table décor are considered rentals, they will be returned at the end of the event. Some décor or specialty candy may incur additional cost. Events farther away then 35 miles from 63021 may incur an additional charge.